Cleveland Cavaliers coach Larry Drew condemned the shocking incident where Marquese Chriss and the Toronto Raptors' Serge Ibaka traded blows on Monday. The struggling Cavs downed the high-flying Raptors 126-101 at Quicken Loans Arena and frustration seemed to get the better of Ibaka. 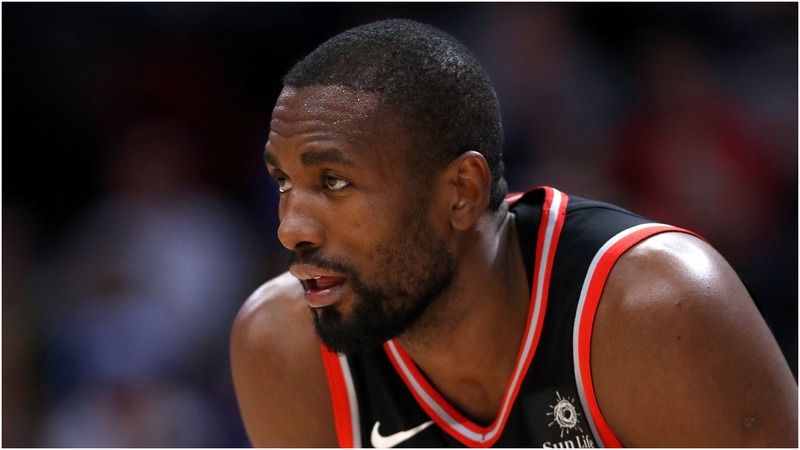 After an exchange with Chriss as the Toronto man tried to buy a cheap foul, Ibaka lifted himself from the floor and hurled himself at his opponent, with both men then appearing to throw punches before they were ejected. Drew defended Chriss' right to protect himself - although he did not see the full extent of the clash - and insisted such scraps have no place in the NBA. "I don't condone fighting at all, but I think, if somebody comes at you, you have the right to defend yourself," Drew said. "I have to go back and look at the tape to see exactly what happened, but I don't believe there's a place in our game for fighting. "In the heat of the moment, I understand that things do happen. If you get in a situation where clearly you're being attacked, your natural instinct is going to be to defend yourself. "I'm not sure what happened. I'll go back and take a look and it and then I'll make a judgement on that." Raptors coach Nick Nurse also saw little of the incident and was keen to ensure that Ibaka was unharmed, but he was frustrated to see the center get involved in an incident that is likely to prompt a suspension. "I just wanted to see if he was okay, first of all," Nurse said. "I didn't know if there were any punches landed or any of that kind of stuff. "I just wanted to make sure physically he was okay. He seemed fine. "We certainly don't want that in the game. It's going to cost him a game, probably, right? It usually does when there's an altercation like that and we don't want that. "We don't want to lose one of our guys for incidents like that. Whether it's Serge or anybody."